The other day Steve and I were talking about how authors and actors choose pen and stage names, and I was very interested in what he had to say, so I invited him over to my blog to tell you more about the subject. Steve blogs about musical theatre at http://www.wheresthatmusical.co.uk/blog/. Welcome! Tonight Matthew I'm Going To Be xxxxxxxxx! Did you ever watch that TV programme ‘Stars in their eyes’ where members of the public impersonated their favourite pop star and got made up to look like the star? Which celebrity names did you dream of being if you ever got to utter those famous words ‘Tonight Matthew I’m Going To Be!’? Halloween is a great excuse to dig out Nightmare Before Christmas and all my favourite spooky stories, so my contribution to the Halloween blog hop is, in no particular order, my seven favourite magical books (or series - a sneaky way of not quite having to narrow down to seven books) of all time. How many have you read? 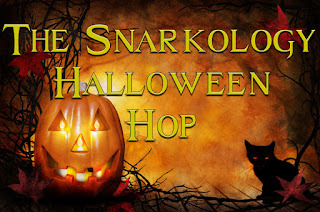 Follow the hop for more fun, great books, and awesome prizes. And make sure to read to the end for a chance to win a sneak preview of a magical collection, as well as a hop-wide prize draw for $50 or $100 in Amazon gift cards. For the launch of Modern Magic, my fellow Crimson Romance authors and I are trying something new to us: a Thunderclap campaign. I've supported a few of these recently, including a very successful one for Jane Holland's fantastic thriller, Girl Number One. 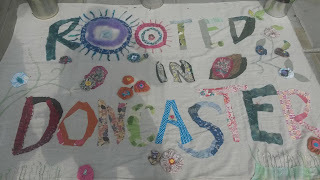 (You can read about her Thunderclap campaign on her blog here). All it means is you agree to allow the app to post a one-off message on Facebook, Twitter or Instagram on a specified date about the book, and as the campaign only runs if at least 100 people support it, the internet becomes a 'perfect storm' of book news for a few minutes - hence the term 'Thunderclap'. Although the initial posts only last for a few minutes, it can have a lasting effect on how many people are aware of the book. Our Thunderclap for Modern Magic is here and we would love you to click through and support it! If you want to know more about how you could use Thunderclap to promote your book or cause, their FAQs are here. Just a quick update to let you know that both the sports anthology Perfect Game and our lovely fairytale collection, Modern Magic, are now up for preorder on Amazon Kindle. 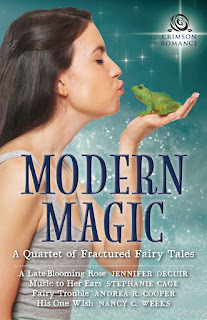 I'm so excited that Crimson Romance, who published my first full-length novel (Perfect Partners) have picked my contemporary fairy-tale retelling, Music to Her Ears, as one of their 'quartet of fractured fairy tales'. The anthology is due to be released a month from today (on November 9th). It's a privilege to be featured alongside three very talented authors and it was enormous fun working out what a certain fairy story would look like if it took place in the present day with three human brothers in place of the bears. I love the cheeky fairy-tale cover. What do you think? Wow! 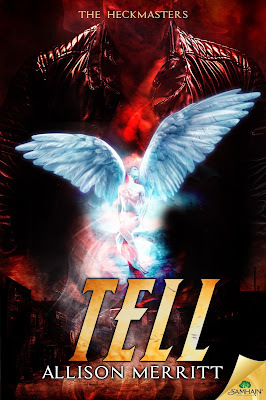 Tell (Book 3 in The Heckmasters series) by Alison Merritt has a stunning cover and an exciting premise. Read on below to find out more... but be warned... the book is not out until March 2016. Still, you can always add it to your Goodreads shelf so you don't forget, and in the meantime, check out books 1 and 2 in the series (all links below). Half demon, all male...one woman strong enough to love him. Knowing the day will come when his demon blood will overcome his humanity, Tell Heckmaster has been searching for a miracle. Something, anything, to counteract the spell. So far, he's come up empty. Just as the town of Berner has finally found peace, Tell's worst fears manifest. Strange, new powers are tearing at his finely honed control. Putting everyone-including the pretty seamstress he's kept at arm's length-in terrible danger. If I'd had to place bets on the likelihood of anything I ever wrote appearing in a book on sports, I'd have placed it up there with the likelihood of me landing on the moon. I don't do sports. My husband is mad about football and tennis, but my involvement is generally limited to sitting in the same room as the football on TV, with headphones in, reading or writing. However, despite the total lack of hand-eye coordination which prevents me from getting involved in ball or racquet sports, I do love to ice-skate, swim and dance. And it's that last interest which led to my inclusion in Crimson Romance's forthcoming sports anthology: 'Perfect Game'. 'Under a Blood Moon' is a highly entertaining debut novel which blends dark elements with a light chick-litty feel in a similar way to Charlaine Harris' Sookie Stackhouse books. 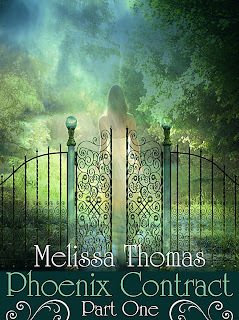 I love stories which explore how supernatural elements would fit into the structures of our everyday world, and the heroine Mallory's role within the Baton Rouge Supernatural Investigations Department puts this book squarely into that category. Djinn and Tonic has a cover! It's official! 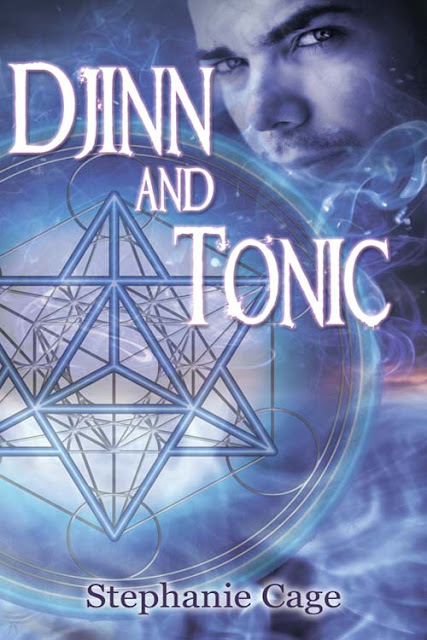 Djinn and Tonic has a cover! Not at all what I expected, but I love it, and it fits the magical theme of the story perfectly. Thanks to Kim and all at The Wild Rose Press. Oh, and in case you're curious, here's the blurb:As fashion photographer Sal Purdew sets up her studio for a special shoot, she wishes for the perfect male model, and he appears. Sal just wants to win at the Alternative Fashion Awards, but her model, Ashtad, is a djinn with the power to grant her wishes and turn her into anything she wants to be. From the pretty English town of Whitby to a tropical beach, Ash whisks Sal away on a magical trip neither of them can forget. When Sal finds herself falling for Ash, she has to decide: do they have a future together, or will his magic always come between them? A beautiful piece of historical fiction following from a clever premise: what if Anne Boleyn had a son who lived? The story follows that son, William, and others of his court including his friend Dominic, and royal ward Minuette. Surrounded by the struggles of power, can the three retain their integrity and friendship? The details of the Court are beautifully drawn, and the invented history blends seamlessly with the true past to create this compelling first instalment in a trilogy. I look forward to reading the other two books - my only annoyance was the feeling that the ending was just a little too inconclusive in order to leave the way open for the sequel. This story was written in response to Chuck Wendig's flash fiction challenge. The random phrase generator gave me 'pencilled collarbone' and 'Skin Deep' was the result. One Giant Leap for a Writer? Who doesn't love a good robot story? I wonder if anyone else remembers those yellow-jacketed Gollancz editions of Asimov's short stories? I used to borrow piles of them from the school library along with my Chalet School and Sweet Valley High books (I was always an eclectic reader). 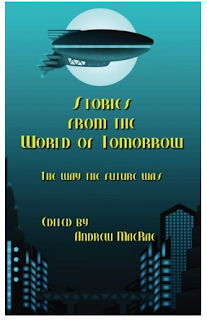 So when I saw the call for short stories for Darkhouse Books' anthology of science fiction stories based on the future imagined at the 1939 World's Fair, I knew I had to have a go. The result was 'The Robot who Smoked', my homage to 'I, Robot', 'AI' and all the other robot stories that have made me think hard about what it means to be human. I downloaded The Paper Magician on a whim for no better reason than that I was short on fantasy reads and liked the title. I started reading and was instantly addicted. Ceony is a wonderfully kind, funny, likeable heroine. She's feisty and independent (traits which cause her no small difficulties) yet with plenty to learn from magician Thane, to whom she is apprenticed. Being forced to be a Folder (paper magician) when she wants to be a Smelter (iron magician) is maddening, and her attempts to make the best of the situation are both endearing and humorous. Silk for Susannah is a delightful short romance, which would be sweet even if it were entirely fictional, but is given an added dimension by the knowledge that it’s based on the real life of Shakespeare’s daughter.Like the film Shakespeare in Love, it plays off our endless fascination with the Bard of Avon, and evokes a strong sense of time and place. From the first page, we are transported back to Stratford in the summer when Susannah first makes the acquaintance of the young doctor John Hall, and has to persuade her father, the famous playwright, to support the match.Evocative and charming, this is a light, quick read but demonstrates the same strength of historical detail as Victoria Lamb’s powerful young adult novel, Witchstruck. Free on kindle unlimited, and currently only 99p to purchase, what better way to try out a new historical novelist if you've not yet got to know Victoria Lamb's books? It’s ages since I’ve read anything by Jane Green but when a copy of Girl Friday crossed my path and I read the blurb I was instantly hooked. I’ll read anything that features a writer as one of the heroes, and I wasn’t disappointed by Robert McClore, thriller writer extraordinaire and boss to Kit, the recently divorced heroine who is currently rediscovering the worlds of working and dating after too long focusing exclusively on her role as wife and mother. The bond between Kit and her two friends, Wall Street wife Charlie and yoga teacher Tracy, is brilliantly drawn, and the book has a lot to say about the dynamics of female friendship, as well as post-divorce dating. 'Ascend' is a fantastic conclusion to the Trylle trilogy, and brings together all the threads that were tangling messily at the end of 'Torn'. Wendy's planned wedding, her lingering feelings for Finn and growing attraction to Loki, the looming death of her mother Elora, Queen of the Trylle, and the ongoing quest of her father, King of the Vittra, to take over the Trylle kingdom. Of you've read and enjoyed the rest of the trilogy you won't be able to resist this exciting, dramatic and fast-paced finale.